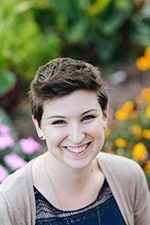 Today we welcome Lydia for an interview! As a little girl I desperately wanted to be a ballerina; I used to practice the positions and learn the stories of the ballets so I could tell them to my siblings. That faded eventually, and at one point I was looking at schools to study fashion design, but I finally realized that writing was the only thing I never got tired of, never stopped doing even when I pursuing other things. I just didn’t expect all of this to happen so soon! Ooh, that depends. I’ve written a couple of books in just a few months, and others I’ve been working on for years. 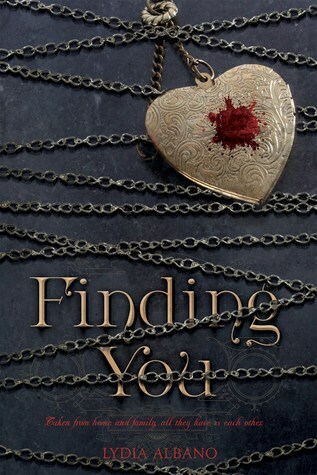 Finding You took me about a year to write the first draft, and then another two for my own edits and the ones I worked on with Swoon Reads. Honestly I’m not that original; I tend to have just a few themes that are central to much of my writing- I love writing characters that don’t know their own strength yet, I love writing girls who accomplish great things and boys who aren’t surprised by it. Human dignity is something I could talk about all day, what it means to treat everyone as equally valuable. I think these things come up a lot in my writing. Also, prison cells. Not really sure why on that one. I wish. Since I don’t work Fridays but everyone else does, I can sometimes block out several hours then, but even then I procrastinate. That’s the question of the hour! Work gets really hectic this time of year for me, so juggling that and writing has been really difficult lately, actually. My friends are incredibly supportive of my writing and great about making me say no to things, which does help when I’m volunteering or making too many plans. Oh wow, this is a terribly hard question. Hmm. Love is an easy answer- romantic love, deep friendship, love for family. I have a hard time connecting to characters that don’t connect deeply to each other in some way. There need to be high stakes at some point- something real to lose or else I can put down the book and never come back to it. Bonus confession: I love jealousy, if there’s a romantic plot. Especially if it’s all a misunderstanding, or someone was trying to make someone jealous and it messes everything up. It depends on the book, I think. For Finding You, the first draft was borne along so much by the readers I was sharing it with that I felt like I was just along for the ride. But editing - cutting out characters I loved but came to see weren’t necessary, that sort of thing - that was daunting. I think because it really had to be succinct and consistent, that overwhelmed me. I’ve finished five so far, and unfortunately all of my first drafts are at least 100,000 words. Finding You is tied, I think, with another book I wrote just before it, for favorite. The other book was all espionage and masked balls and false identities with betrayal and story-telling and dyslexia. I wrote it in under three months and it’s not perfect but I love it. That I’ve ever written? Or in Finding You? I think my favorite that I’ve ever written was from that last book I mentioned, the guy who does the betraying, actually. I fell very much in love with him while writing it. But in Finding You, hmm. Maybe Phoebe- even though I love Isla, and I love that she has to learn to be strong, I love that Phoebe is already strong. Instead she has to learn to need people. I know the rest of her story so well in my head that she feels like a friend. One of the best parts about living in Harvard Square is the coffee shop culture! I rely on my friend Kelly to introduce me to all the most hipster ones and that’s where the magic happens. I was actually really scared to enter the world of querying and had put it off for a while, but a dear friend of mine, Kim Karalius, told me about Swoon Reads because she’d submitted one of her books there and wanted feedback. That book became Love Fortunes & and Other Disasters (the most magical book ever) and throughout the process I’d gotten really excited by the prospect of Swoon Reads as a possible home for Finding You. The rest is history; I submitted, the lovely readers on the site were kind enough to support my book, and next thing you know I’m answering interview questions! Yes! My family is honestly the best- I grew up hearing that I could do and be anything; they’re my biggest cheerleaders. It’s definitely more encouragement than literary criticism for the most part, but I’ll take it. These days I don’t feel as though I have much time for anything besides work and writing, but I love sketching, watching musical theater, putting on poetry/open mic nights…anything that smacks of creative energy gives me life. Oh, definitely just start! Write that first sentence, scratch it out if you have to, write one you like better, write a second sentence. Keep going. It won’t ever be perfect but it’s magic, and it didn’t exist until you wrote it down. I also can’t recommend finding a community of people to write with enough. I made some of my best friends through sharing my work on Figment.com and between Swoon Reads, NaNoWriMo, Wattpad, and all the rest, having other voices to listen to can make the world of difference. Favorite book is the absolute worst question to ask anyone who loves to read! Ahh! I tell everyone to read The Night Circus, so that might be my answer. But Peter Pan kind of lives inside of me as a part of my life that is so magical and perfect I can’t shake it. As for authors that inspired me to write, that list is just as long as favorite books- Beatrix Potter, Gail Carson Levine, Shannon Hale, Cornelia Funke. Oh yes- one of my dearest friends, Samantha Chaffin, who is an incredibly brilliant writer herself. She’s read things no one else on the planet has (or maybe ever will). I honestly do not believe Finding You would exist without her. As a matter of fact I am! A couple of things- I’m revamping that book I mentioned earlier, working on a contemporary 12-dancing-princesses retelling that may go absolutely nowhere, and, as usual, writing down dozens of first pages that haven’t gone anywhere…yet. Hmm. 1. Flowers. Any and all. 2. The thrill of writing a first sentence. 3. My church- it’s like a giant family and I couldn’t love them more. 4. Picnics! 5. Tea + a book; I realize that’s two things but they’re hand-in-hand. 1. Can I say flowers again? The fact that they’re dying as soon as you pick them is so sad. 2. La La Land, haha. I’m still not okay. 3. I love living in Cambridge but nobody here stays for very long, so the month of May- that’s when everyone moves away. 4. Getting to the end of a good book! I sometimes prolong it and stop reading for a bit. 5. My total lack of pets- I’m planning to get a hedghog this fall but I’ve spent my whole life pet-less and it’s very sad. Russia! I’ve been obsessed with the idea of Russia for years, from attending Russian weddings to reading a lot of fiction and non-fiction set there- someday I need to see it for myself and write something!